Updated Monday April 1, 2019 by Saskatoon Minor Basketball. All jerseys for 3 on 3 and Development (D-League) will be available for pick up at the first sessions this week. If there is a problem with your jersey please take it to Al Anderson. As we only order the sizes that are requested we cannot take jerseys back, If you need a different size jersey it will have to be ordered from Al Anderson. 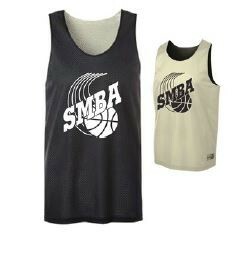 If your jersey is not at your first session please contact Shana at smba4712@gmail.com.